On today’s podcast, we are going to learn 3 new expressions in Portuguese. This is a good way for increasing Brazilian Portuguese vocabulary: step by step. Yeah, we only use this expression in the feminine form. I’ll repeat it for you: elas por elas. We use this expression when we mean that nothing has changed, even after a certain event. When we say that someone “trabalha por conta”, we mean that he has his own business. Actually, you can hear both: trabalhar por conta or trabalhar por conta própria. Desde que saí do meu último emprego, estou trabalhando por conta. (I have my own business, since I left my last job). This is a popular Brazilian saying that I’ll try to explaing to you. 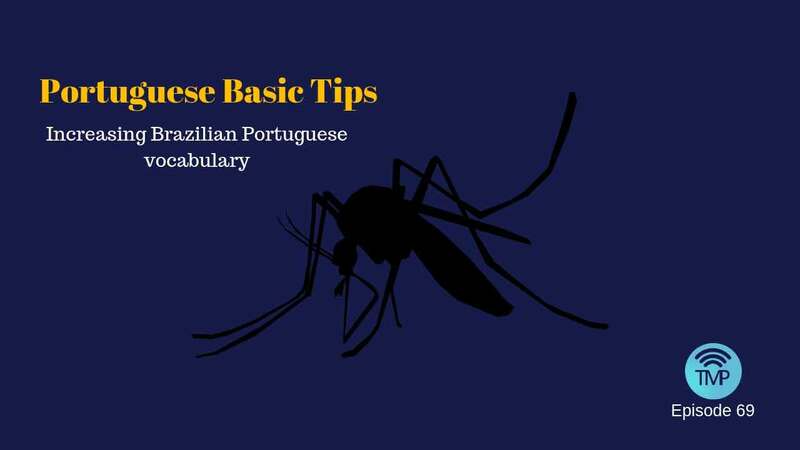 First, try and repeat that with me: engolir um elefante e se engasgar com um mosquito. Yeah! You are correct! I really don’t know how to translate that. In a non-literal translation we have: Al Capone was arrested for the most silly crime, among all those he has committed. See: he was a gangster! However, he was arrested because of tax evasion, not because of his most brutal crimes. Of course an elephant is bigger than a mosquito, so it sounds surreal that someone can go unpunished by eating such a large animal and having no consequences because of it. In the meantime, the same person is surprised to choke on a mosquito.